Inspired by a mission trip to Africa, Rachel Rounds spends Valentine's Day helping families closer to home. It’s Valentine’s Day, and Rachel Rounds of Evart, Michigan, is celebrating her 18th birthday. “I just got back from a mission trip to Africa, and I was thinking about different things to do for my birthday, maybe going to see a movie or something like that,” she says. Instead, Rounds decided to do something a little more meaningful. 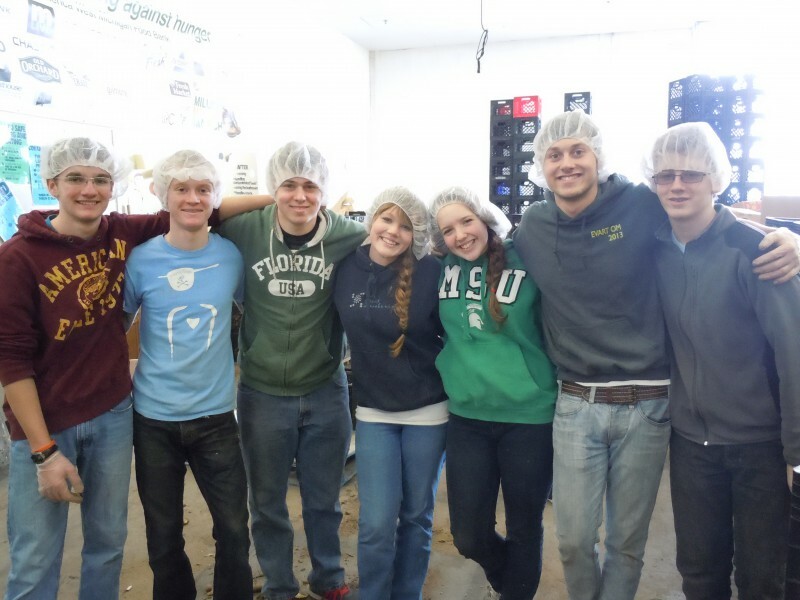 She got a dozen of her friends to drive down to Feeding America West Michigan Food Bank in Comstock Park, don hairnets and neoprene gloves and hit the warehouse, where they spent the morning digging through bins of potatoes. Her time in Kenya and Uganda had inspired her to think about how she could help people closer to home, she says. Rural Osceola County, where Rounds lives, has a high rate of food insecurity, higher than densely populated Kent County to the south. Hunger affects 15 percent of people in her community, including more than a quarter of all children, according to Feeding America’s Map the Meal Gap study. 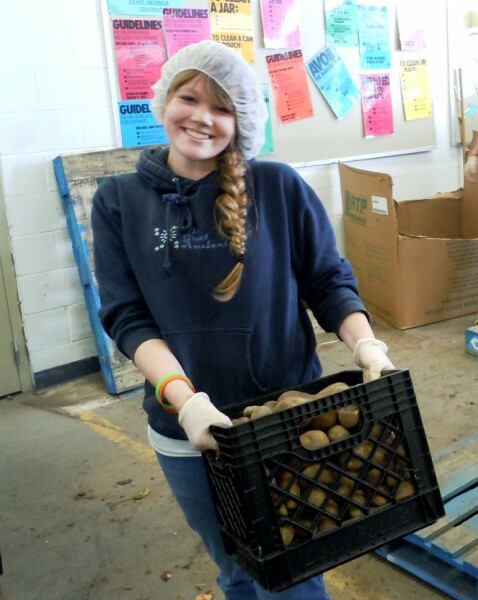 In just a few hours, Rounds and her friends had sorted 23,000 meals worth of potatoes for local families in Osceola County and throughout West Michigan and the Upper Peninsula. In the coming years, Rounds hopes to work with refugee women, providing counseling and teaching job skills. In the immediate future, she will be taking her friends out for ice cream — “Something a little more birthday-related,” she laughs. Feeding America West Michigan wishes a happy birthday to Rachel Rounds and a happy Valentine’s Day to all our volunteers, whose compassion never fails to amaze us. Those interested in getting involved in the fight against hunger can help by making a donation or volunteering their time.